Majins as their own group was a terrible idea. 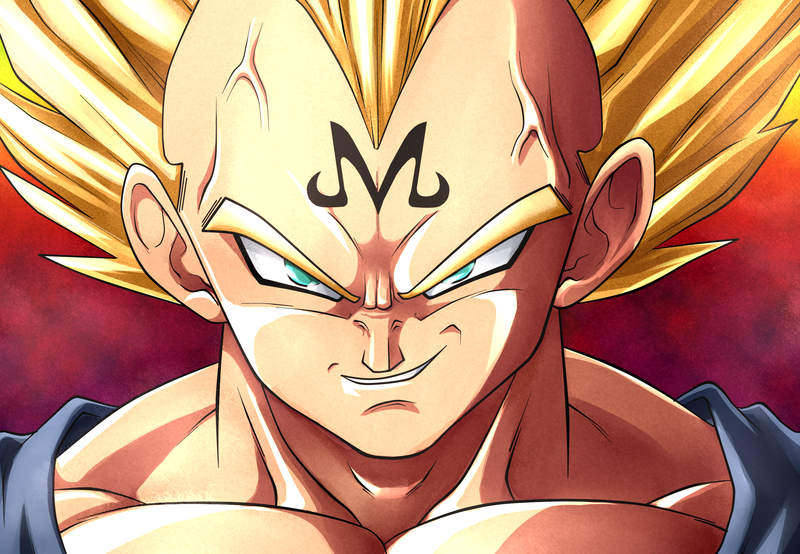 I really never understood the reasoning behind the rule that you could only use a Majin as an ally if your MP was also a Majin. 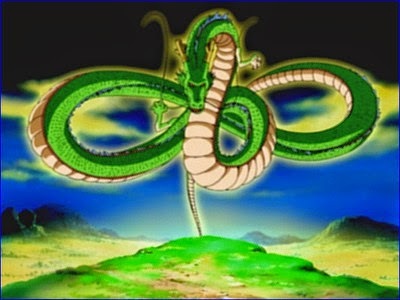 None of the Majins were really overpowered enough as potential allies, certainly not in terms of the overall game. That "fat" Buu ended up being a protagonist goes further to support the point. When "Kid Trunks" was introduced, I thought the whole idea was stupid. The game allowed for you to mix MP levels from the various sets. Mechanically, this was cool. Thematically, it was stupid. It was a common tactic to have your MP start at the weakest possible first level so that you could go first (via the "double power" rule, which I'm glad Panini nixed). 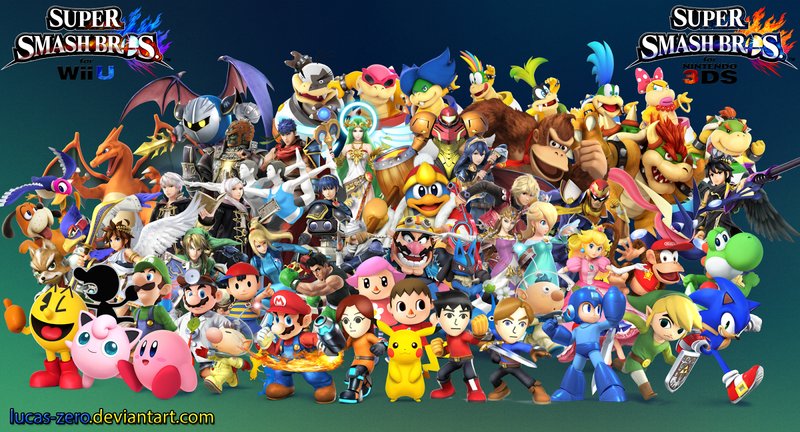 Depending on the abilities or power-up ratings you wanted, power levels could fluctuate dramatically. 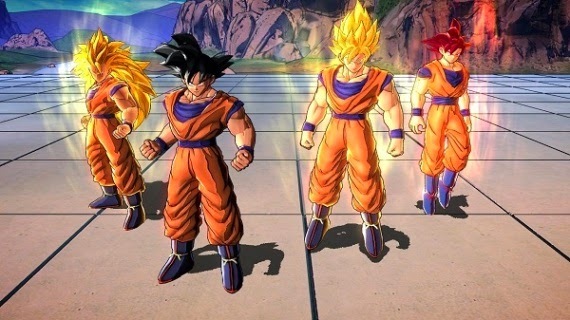 In the case of Gohan, even overall body shapes would change, because he grew up through the series! The justification for separating Trunks & Kid Trunks was that they had entirely different experiences, but that doesn't fly with customizable MPs in the first place. 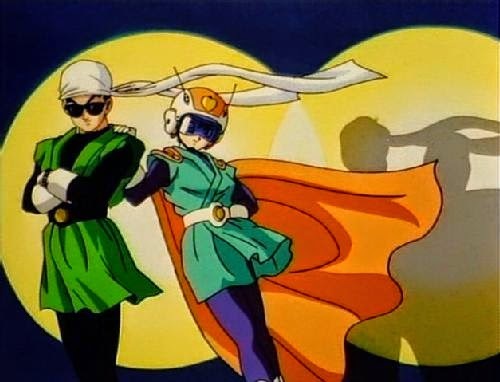 Gohan pre-Piccolo training has had entirely different experiences from Saiyaman Gohan, yet somehow advancing a level could change Gohan to this? The same logic applies to anyone, but it's just especially obvious with Gohan. The timeline & customization deal can be fixed entirely by just nixing the whole idea of customizing MPs and forcing them to be their own sets. Yes, that means god Goku shouldn't be playable in this case for the same logic. 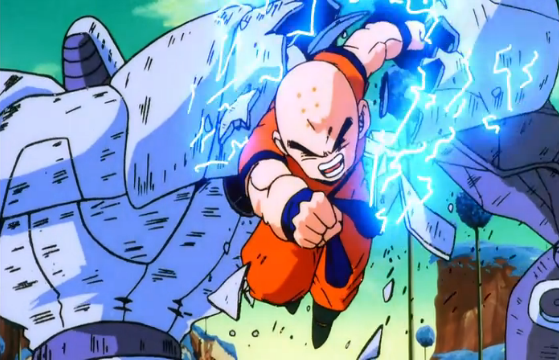 Strictly speaking, the promo Krillin wouldn't be legal, either. 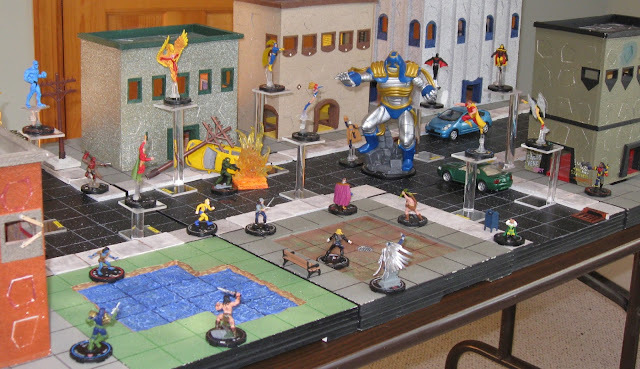 Forcing each set to be only playable with itself allows for more design possibilities. You don't have to worry about potentially abusable level combinations, and can design the whole set to be balanced. It's fine to have some levels be more ideal than others in this way, of course. Focused attacks were made out of necessity. So many cards were being made that could stop either kind of attack, playable by anyone. It really was getting out of hand. The defense shields weren't necessarily that problematic, but including them in the rule did make it so that focused attacks couldn't be stopped in "easy mode." I'm not against focused attacks coming back, but I think they can be avoided by careful design. Just don't make a lot of cards that can stop either kind of attack from becoming easily available to everyone. We can see Blue has a lot of these cards, already. In that case, we can make it so that there's no way a Blue deck can really stasis things out (though good luck making that work), or else make future cards like this come with drawbacks. Blue Rest is a good example. 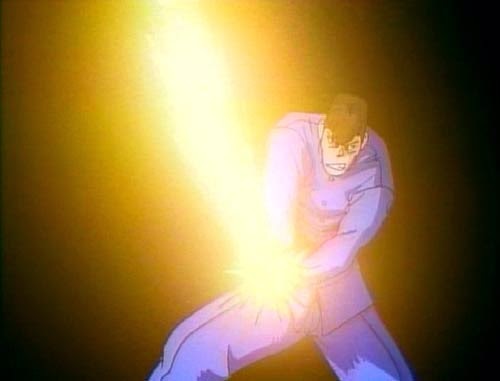 It effectively stops you from getting hurt, but since the attack hit, those effects will still apply. As a sidenote, I am perfectly ok with Time is a Warrior's Tool staying. I don't think it should have been introduced, but it was. Because of that (and it being so easily available as a common card), the whole game got designed with the knowledge that a card like Time could show up at any moment in the game. 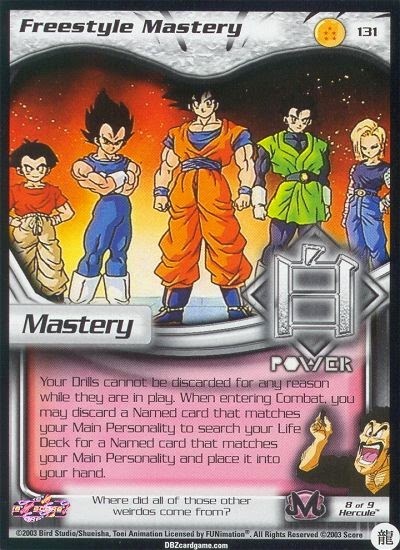 The fact that so many new cards like it were designed necessitated the introduction of Gohan's Kick & Breakthrough Drill. Gohan's Kick should never have been as necessary as it was. Keep Time, but make future stop-all cards be extremely limited. Sure, let's have this be a thing. It will take a long time before there are enough freely available freestyle cards to make it viable, but I loved the idea. Granted, it was a bit easier to do when named cards didn't really mean much other than that MP could use more of it. It just speaks to a whole new kind of mastery when a character has their own fighting style beyond the generic styles available to all. In theory, this was fine. 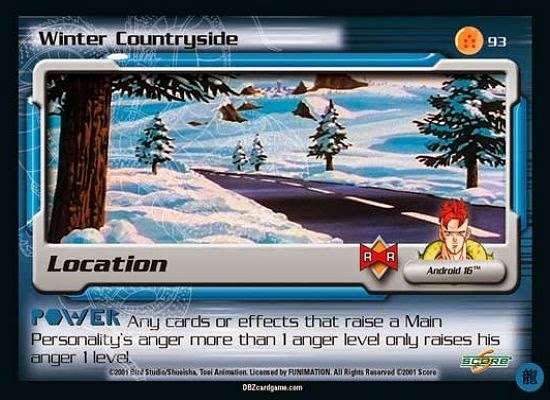 I love cards that represent the whole world and have an effect on both players. However, it's not so cool in execution. It was not unusual for players to bounce frequently between locations. We did occasionally have a change of venue in the middle of a battle, but when it happened, people tended to stay there. I think this kind of thing could happen in a very restricted way. Rather than "we're just going to do this here," provide some sort of context for why the players are going there. Locations would effectively be like missions. The opponent gets to choose whether to enter Combat to stop it from being played, or else Combat is skipped and the player gets some kind of benefit. The benefit could even be a permanent thing that applies to both players, since the one who plays it will obviously be more prepared to deal with it. Think about the idea of someone trying to get out of the fight, but the opponent won't let him. At the same time, it could easily still be a place the fighters agree to use, like Cell's Arena. I'm actually kind of fangasming as I consider the possibilities. As a player, I'll take Empower all day. It allows me to go with a card that has good utility, and opt instead for more power if it suits me. As a designer, this seems like a bad thing to me. You don't really want to give a player the best of all worlds. It's just another form of power creep. Just designing decks with this one Panini set, I've had to choose between attacks that were more powerful or otherwise more useful. If I can run a Blue Betrayal that also has the option of getting +3 stages if I opt not to banish something, that makes my deck designing much easier. Of course, this isn't everything out there. This is just the stuff that occurred to me. I like seeing that people actually read my crap. If you wanna bring up something you want to see come back, or that you hate enough that you never want to see it again, leave a comment whynot.